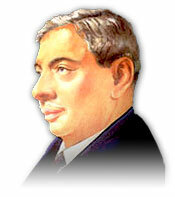 Late Mr. Gianchand Chandumal Motwane who, in 1909, founded the business which is now known as Motwane Private Limited. Thus it was that he struck out on his own with a meager capital of Rs.300 which he had saved from his earnings. He resigned his post and started Eastern Electric & Trading Co. at Sukkur (Sind) in 1909. At first he imported flashlights from Germany. Later, he imported a few mobile power plants to supply electricity for the social and commercial functions of the people of Sind, and added telephones to his line of business. His business grew to such proportions that within only three years, that is, in 1912, he moved his headquarters to Karachi. Mr. Motwane opened his doors in Bombay on 1st April 1919, to take care of his growing business of telephones and installation of telephone equipment. 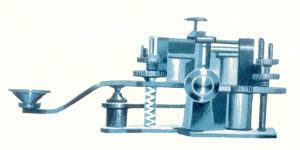 He named this company Chicago Telephone Supply Co.
With the introduction of broadcasting the world over, Mr. Motwane rigged up his own radio-transmitter and started broadcasting under the sign of “2-KC” through the Bombay Presidency Radio Club Ltd., of which he was one of the founder-members. He thus became the first person to embark on broadcasting in India. His leadership in this field was acknowledged and so, in 1923, he earned the distinction of being specially invited to attend the Wireless Conference, the first ever in India, held in the Office of the Director General of Posts & Telegraphs at New Delhi. In 1926, He changed the name of Chicago Telephone Supply Co. to Chicago Telephone & Radio Co., as the company had by that time been dealing in radio, telecommunication and loud-speaker equipment. This company was converted into a limited liability company in 1936. Motwane has progressed, grown and diversified, serving society and industry with Chicago Radio Public Address System, Industrial Communications System and Conference Communications Systems. In this modern age of technology, Motwane represents companies of world repute in the U.S.A., U.K., Canada and Japan for the latest generation of hi-tech products which a rapidly developing country like India needs. With a modern manufacturing plant at Bangalore, six offices and hundreds of employees all over the country, Motwane today is a thriving business that looks forward to a future with confidence and courage. 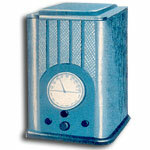 Chicago Radio loudspeakers have established a tradition and reputation for unfailing service. They are rightly “the choice of all” by virtue of the high quality of public address sound equipment we have been manufacturing in our own factory. We are thus able to make them available, either for hire or for sale, in all parts of India for a variety of uses. In fact, not a day passes without our head office and each of our branches being called upon to fulfill innumerable orders. Two outstanding factors, viz. the high quality of apparatus, ensuring clear and faithful reproduction of voice and sound, and an alert and efficient service before, during and after installations, explain the nation-wide popularity of and demand for Chicago Radio loudspeakers. Sound is our business. We manufacture and sell public address systems. Proof of the widespread use of our sound systems is to be found in the equipments installed in. An Ultra modern factory at Bangalore, manufacturing Chicago Radio Public address Systems, Industrial Communication Systems and Conference Systems under the watchful eyes of highly qualified engineers and technical personnel. Manufacture of wireless microphones, paging systems and highly sophisticated loudspeakers and microphones are included in the future plans.